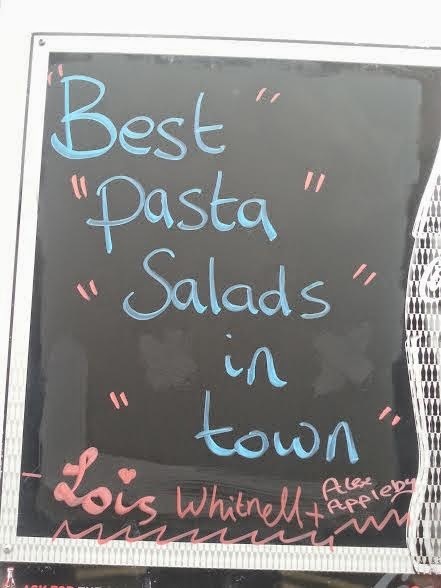 The “Blog” of “Unnecessary” Quotation Marks: "pasta" "salads"
If it has pasta in it, is it really salad? (yes) (but maybe not if it's fake pasta?) Thanks Gemma. The different-colored quotes make it look like someone wrote out a menu board, and someone else looked at it and said "It needs unnecessary quotation marks! More of them! More, I say!" "AWE" "THAT'S" "FUNNY" I would bet you are right.S. S.